For those new to healthy cooking and haven’t a clue as to where to begin, I offer the most important piece of healthy cooking advice. While these words may have been dreaded as we were growing up; as adults, these words literary will save our lives if we heed them. This single most important, health improving, and life changing thing you can do to transform your diet is to eat more vegetables. Vegetables contain most of the vitamins, minerals, macronutrients, and antioxidants the human body needs to function at its best. Numerous studies have shown that those who eat all or mostly vegetables have better quality of life, less risk of disease, and longer longevity. Rest assured, I’m not trying to persuade you to become a vegetarian because even meat eaters who eat predominately vegetables can still reap these benefits. Here’s a quick recap of just some of the research behind this notion. Fruit, vegetables, and cancer prevention: A review of the epidemiological evidence. 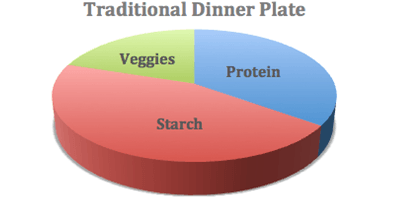 The traditional western dinner plate typically consists of a moderate portion of meat, a large portion of starch (i.e. rice, potatoes, pasta etc. ), and a small serving of green/colorful vegetables. If your goal is to start cooking healthier, you will have to break free from that traditional dinner plate paradigm. Every meal should consist of a majority of green/colorful vegetables and combinations there of. Some research indicates that a combination of many different vegetables and fruit creates the most protective benefit. Ok, that sounds great in theory, but if you have been used to cooking a certain way for 20+ years that is easier said than done. Here are some healthy meal ideas that can help transform your cooking and drastically boost your daily vegetable consumption. Instead of eating just plain scrambled eggs, sauté 3 cups of vegetables first and then scramble in the eggs. Season with some garlic salt, pepper, and/or hot sauce. Skip the toast. Too busy? Make it ahead of time by placing the sautéed vegetables and raw egg mixture into lined muffin tins. Bake in a 350° oven for about 20-25 minutes or until eggs are set. These can be frozen and then eaten throughout your work week. Don’t be afraid to experiment with a lot of different vegetable combinations. I often use veggies like cactus, cilantro, and hatch chili peppers for a Southwestern feel. By mixing it up, it doesn’t get boring. Here’s a detailed recipe here. 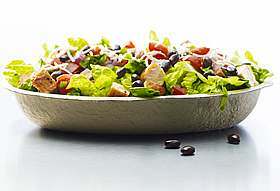 Green leafy salads are easy lunch choices because they are loaded with vegetables. Have a little protein with them and they’ll keep you fuller longer. Avoid salads that are made with just iceberg lettuce. Vegetable soup is a great lunch choice. You can make a big batch ahead of time and experiment with different combinations of vegetable. Put extra veggies on your sandwich. Instead of cooking just one vegetable with your dinner, cook 3 instead and skip the white potato, rice, or pasta. Use cauliflower mash instead of mashed potatoes. Many stir fries are predominately vegetables in tasty combinations with delicious seasonings. Use spaghetti squash instead of pasta or thinly sliced sweet potato instead of lasagna noodles in your Italian cooking. 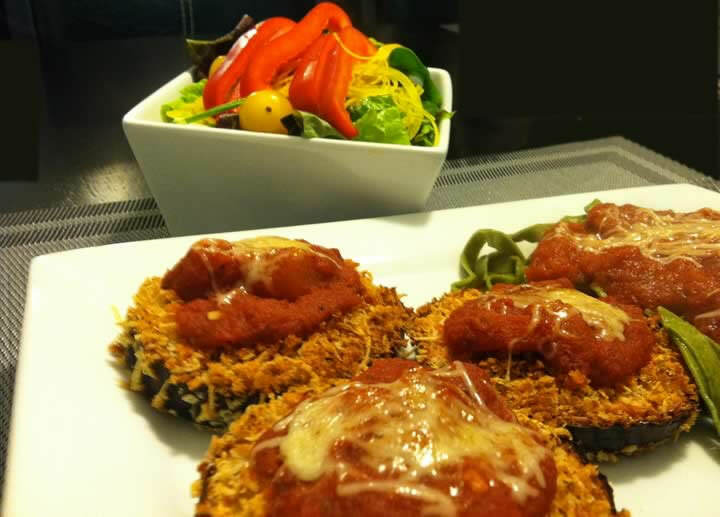 See my eggplant parm. recipe. Veggie kabobs are an easy grilling option. If you can skewer it, you can grill it! Season with Tajin or Old Bay. Make a roast veggie meal salad. In a 400° oven roast sweet potato, red onions, peppers, and fresh beets with some olive oil, balsamic vinegar, salt, and pepper until tender and a little caramelized on the outside. ( I separate the onions and peppers and cook those for less time.) Serve over a bed of mixed greens with some grilled chicken breast or fish. Serve a large mixed green salad with your dinners while cutting back on the meat and starch. When eating a starch choose sweet potato, brown rice, quinoa, or whole wheat pasta and keep it to a much smaller portion than your green, leafy, and colorful vegetables. My next Healthy Cooking 101 guide will focus on fruits, so stay tuned for that article soon. Do you have any cooking tips to share that aim to increase vegetable intake? 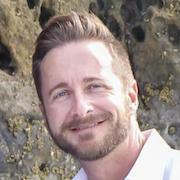 Ted Kallmyer is an ISSA certified Specialist in Fitness Nutrition and is our lead macro coach. If you need help reaching your weight loss/fitness goals see our personal coaching options. This is a fantastic article, filled with great tips. I don’t know why I haven’t come across your site before. Thanks so much, Ted! My diet is mostly vegetables. I do eat a lot of soups, which I love because they’re a great way to use up random veggies in my house and I don’t have to throw them out. I also dip carrots and celery sticks in salsa and eat them instead of tortilla chips as a snack–it’s delicious. You could actually swap out crudites for any chip with any dip at parties to get guests eating more veggies. I also use mashed cauliflower with a little cheese to make “pizza” crust. It works pretty well and you can eat pizza with a lot fewer calories. I try to juice my veggies in a juicer that takes most of the vegetables body. Like a bullet or nutriblast. This way consume more veggies than eating them. Have you tried a masticating juicer? Odd name I know, but we have one. It uses a technique that extracts far more nutrients out than a traditional juicer. They are more expensive, and are bit of a pain to clean, but really are a lot better. 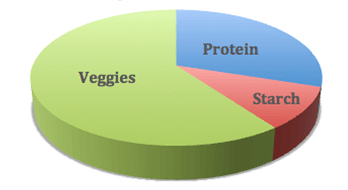 I agree that we should eat a greater quantity of vegetables than starches. However, I would eat more starches than meat. Of course my bias is not to eat meat at all, but I do believe persons can healthfully eat *some* meat, esp. possibly seafood, such as Salmon. However, even then, a person doesn’t have to eat more than 12 ounces a week of seafood. Beans can be a alternate protein source, but they also have a lot of starch, but a very healthy resistant starch. Whole grains and legumes are full of starch, but also have a lot of fiber as well. Meat has no fiber at all. I might cut down on breads, but eat the grains in a less processed way, such as a hot cereal of oats, wheatberries, etc. Whole white potatoes with the skin have a lot of nutrients. Just don’t eat potato chips and French fries very often. It is good you did recommend sweet potatoes. This article from the World’s Healthiest Foods, which is not a Vegan site, http://www.whfoods.com/genpage.php?tname=foodspice&dbid=66 listed many benefits of whole wheat, such as help with weight control, it helps the digestive system, and the cardiovascular system. He also stated that whole grains can have equal anti oxidant power to fruits and vegetables. For instance, Despite the differences in fruits’, vegetables’ and whole grains’ content of “free” and “bound” phenolics, the total antioxidant activity in all three types of whole foods is similar, according to Dr. Liu’s research. His team measured the antioxidant activity of various foods, assigning each a rating based on a formula (micromoles of vitamin C equivalent per gram). Broccoli and spinach measured 80 and 81, respectively; apple and banana measured 98 and 65; and of the whole grains tested, corn measured 181, whole wheat 77, oats 75, and brown rice 56. We Eat Too Much Meat!